Here at Livermore Glass we offer a wide array of products to help you with your project needs. Below are the products that we can cut, shape and customize for you. We carry almost any kind of glass you can think of. Whatever your needs we either have it or can get it quickly for you. Clear, tinted, and reflective. Single pane, double pane with and without energy efficient coatings, tempered, laminated & wire safety glass, obscure (difficult to see through), bullet resistant, tabletops, custom pattern and beveled glass. We also have a wide variety of specialty glass products for custom cabinetry and picture framing. We manufacture in house most all of our window and patio door screens. Whether for your windows, sliding patio doors or your swinging doors we make or can order whatever you need. Quality Tru-frame sliding and swing-out screen doors offer lasting quality that you can trust. Sunscreens provide 70 - 80% reduction in the rays that over-heat your home and can be used in both window and door applications. Save on your PG&E bills with these great products. Mirrors offer a reflection of your world and help to open spaces. Wall mirrors, studio mirrors, framing mirrors, bathroom mirrors, we can help you with all of them. Tinted mirror is also available in bronze, gray, and two-way. We can cut to the shapes and patterns you need. Beveled mirrors are also extremely popular and bring distinction to any application. Windows offer a view to the outside spaces and protect us from the elements. We provide quality Milgard, International an EPI brand window products. Whether vinyl, aluminum or wood clad products. 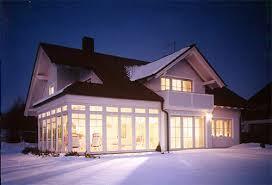 We specialize in retrofit window applications and quality nail-on patio doors. Bring us your plans and ideas so that we can aid you in discovering the potential of your home or business. When you need cut to size Plexiglas products we carry various thickness' of clear Plexiglas and can order polycarbonate unbreakable plastics for picture frames, windows, doors, projects and picture frames. We also carry obscure Plexiglas, Plexiglas for shower applications and bathroom windows. Have a tub or shower enclosure that is in need of a high quality glass enclosure? We have what you need. Cardinal brand shower and tub enclosures manufacture the enclosures we sell the most. Great products, superior quality, ease of use. 3/16", 1/4" or 3/8" glass we have it all available for you. Look for the beauty of brushed nickel framing and handle/towel bars for the upgraded look you deserve. Chrome, brass and white finishes are also available. Easy clean tracks on all of our bi-passing tub enclosures are a great way to keep your enclosure low on cleaning and maintenance. We also carry quality products by Wardrobe Specialties and Contractors Wardrobe. Clear, tinted, and reflective. Single pane, double pane with and without energy efficient coatings, tempered, laminated & wire safety glass, obscure (difficult to see through), bullet resistant, tabletops, custom pattern and beveled glass. We also have a wide variety of specialty imported glass products for custom cabinetry and picture framing, i.e., water glass, new German antique, seedy glass, and many others.